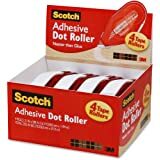 Scotch 6061 Double Sided Adhesive Roller.27 Inches X 26 Feet, Single, Clear. 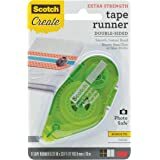 Amazon's Choice for "double sided tape roller"
Ships from and sold by American Tombow Inc..
Scotch Glues and Adhesives offer easy-to-use solutions for home, office and classroom. Spend your time creating, not messing around with your glue. 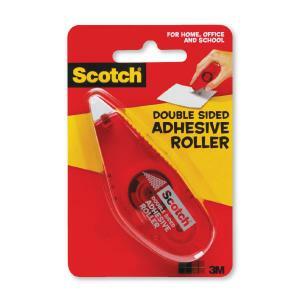 Scotch Adhesive Rollers help make classroom projects fun, quick, easy and clean. 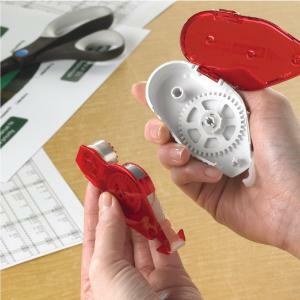 No spills, messy bottles or drying time.These ingenious devices apply double-sided adhesive precisely and smoothly. No runny glue, no drying time, no mess. Precise application straight or curved. Faster and less mess than glue sticks and liquid glues. 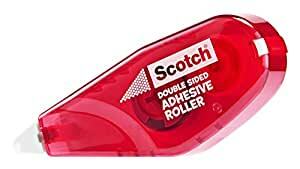 The Scotch Double Sided Adhesive Roller is the fast, no-mess way to apply double sided adhesive. The adhesive rolls on easily. .. and unlike glue or glue sticks, there is no drying time and no wrinkling. Roller applies a micro-dot pattern of double sided adhesive for a clean cut and smooth finish. Great for home, office and school projects. 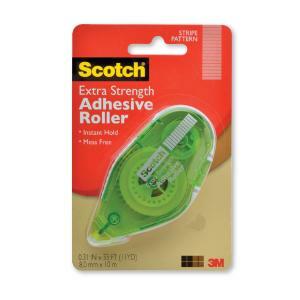 The Scotch Extra Strength Adhesive Roller is the fast, no-mess way to apply double sided adhesive that really sticks. The adhesive rolls on easily - and unlike glue or glue sticks, there is no drying time and no wrinkling. Great for home, office and school projects. 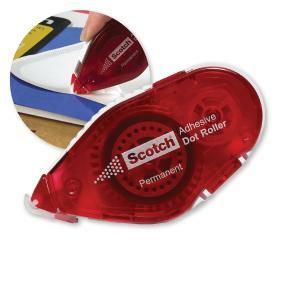 Scotch Adhesive Dot Roller is the fast, no-mess way to apply double-sided adhesive, and it's refillable. The adhesive rolls on easily, and unlike glue or glue sticks, there is no drying time and no wrinkling. 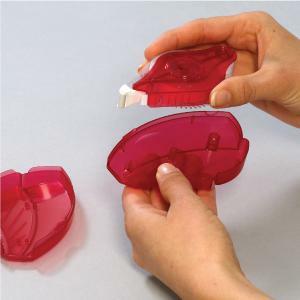 Roller applies a fine dot pattern of double sided adhesive for a clean cut and secure hold. 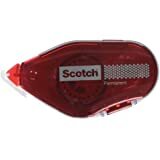 Scotch Refillable Adhesive Tape Roller applies a continuous strip of double sided adhesive. 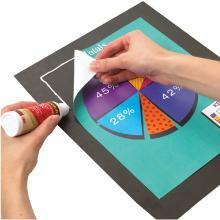 Handy for mounting photos, creating presentation boards, and many other paper-based applications. Allows you to initially reposition items when working on a project. Scotch Glue Sticks provide excellent adhesion and go on smooth. The non-toxic adhesive washes off with soap and water. Precision applicators apply glue only where it’s needed. Choose fast-drying or no-run formulas that dry clear for better-looking results. Mount photos and artwork quickly and easily. Specially formulated products include acid-free, repositionable and all-purpose. Form strong bonds without the mess. 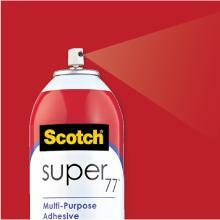 Scotch Super Glue products give you precision control so adhesive goes just where you need it. Adhesive roller offers a fast, no-mess way to apply double-sided adhesive. Scotch Double-Sided Adhesive Roller glides on easily, and unlike glue or glue sticks, there is no drying time and no wrinkling. Great for home, office and school projects. Excellent!! I was struggling to find an adhesive to stick my daughter's wedding invitations to the mat card and that to the pocketfold without it "bubbling" like the glue I'd tried first. A friend recommended this to me and I am thrilled! 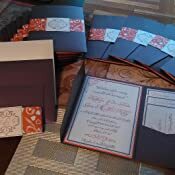 All of the invites are now completed and look amazing - no lumps, bumps or wrinkles yet everything is well stuck in place! This is such a thin adhesive tape that you almost can't see it. Very easy to use and goes a long way! I've tried glue dots, but they often get jammed in the dispenser (frustrating) and they leave a bump on whatever is getting glued. I ordered this as an 'Add on' item. It works great, but I'm half way through my project and need more. I was adhering card stock labels I made to plastic cups. I didn't use enough and had to go back and redo most of them. There's not a lot in the dispenser = would be great it they made them larger so less plastic waste. UPDATE: All the labels fell off the plastic! Not sure if it would work adhere, and stay to non plastic items or not. Make it stronger, put more in it, and they've have a great product! 5.0 out of 5 starsPerfect and quick! This little double sided adhesive roller is AMAZING!! I am a Jamberry Independent Consultant and I like to add samples to my business cards. I had been using double sided sticky tape, but unfortunately my customers would occasionally get a doghair sample with their nail wrap sample because I would have to trim up the double sided sticky tape to fit my sample. This roller is quick and easy! 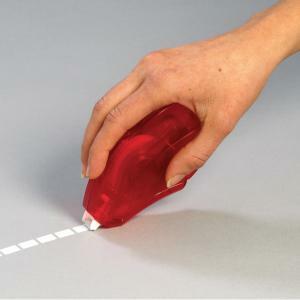 Simply press, drag and flick, like you would with a whiteout roller, or packing tape roller. It leaves a thin film of adhesive to the exact legnth that you need and NO MORE DOG HAIR ON MY BUSINESS CARDS! Great but.... all these ratings as good were before the price-hike. It went from $1 to $5.... seriously? If selling them at $1 was not economically viable, scotch should not have done so. That's just ratings manipulation. Basically, 26' is a pity of an amount, and will only last a couple days, if that. You will have to buy several to accomplish substitution for glue sticks, which is possible at $1, but at $5, there is no purpose for this product. Remarkable stuff, this can be used on a wide variety of uses, from re-attaching laminate to fixing separated seams of LP record sleeves. 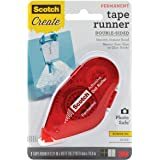 Any place you would use tape you can use this, plus some applications where tape would not work. I absolutely love this product. I have a busy schedule and I use this to help keep me organized. 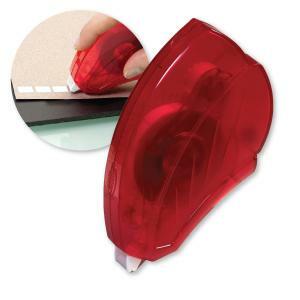 It is so easy to use and doesn't bunch up or tear like the old double sided tape. No more fighting with it all over your fingers. The only negative I have with this product is that it runs out too fast for me (which means I use it all of the time). There is plenty of tape in the package for those who need it occasionally. I use it in my calendar everyday to organize events with post-its. I love the price as well. All in all, if you haven't tried this product, I encourage you to. It works but probably won't buy again. More of a hit and miss. Sometimes if I'm not holding it completely straight the adhesive doesn't come off when I'm rolling or the whole thing shifts and I only get a part of the sticky. Also can't go back so almost like a one time shot to get the adhesive. 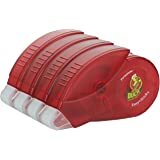 I just love these adhesive rollers. I buy them all the time to use in our homeschool for the many lapbooks that we make. 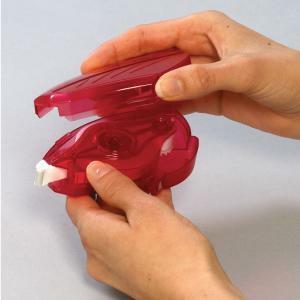 They are much easier to use than the double sided adhesive that is on a regular dispenser. I don't think this adhesive would be strong enough for more than paper uses, but I won't use anything else. 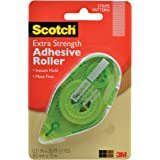 This item: Scotch 6061 Double Sided Adhesive Roller.27 Inches X 26 Feet, Single, Clear.